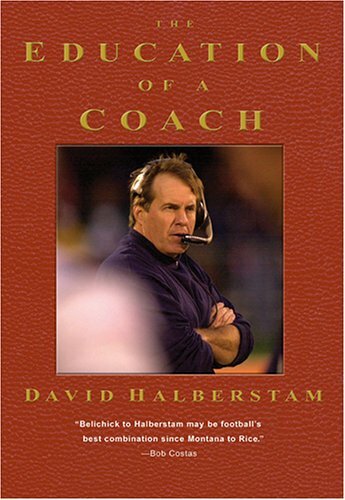 Halberstam details the career and life of the New England Patriot’s coach, Bill Belichick. How his background, beliefs, work ethic and process have helped him become one of the most prolific football coaches in history. Very interesting book on Belichick the man, why he acts the way he does and how he has risen to the highest echelon of the coaching world. First job out of college was with the Colts. Was hardly paid but soon showed his worth and gained salary and responsibilities. This entry was posted in Books and tagged Bill Belichick, Biography, David Halberstam, Football on March 31, 2015 by Blas.